Make a statement with this fun skinny wrap scarf with leaf shaped points throughout the entire length. 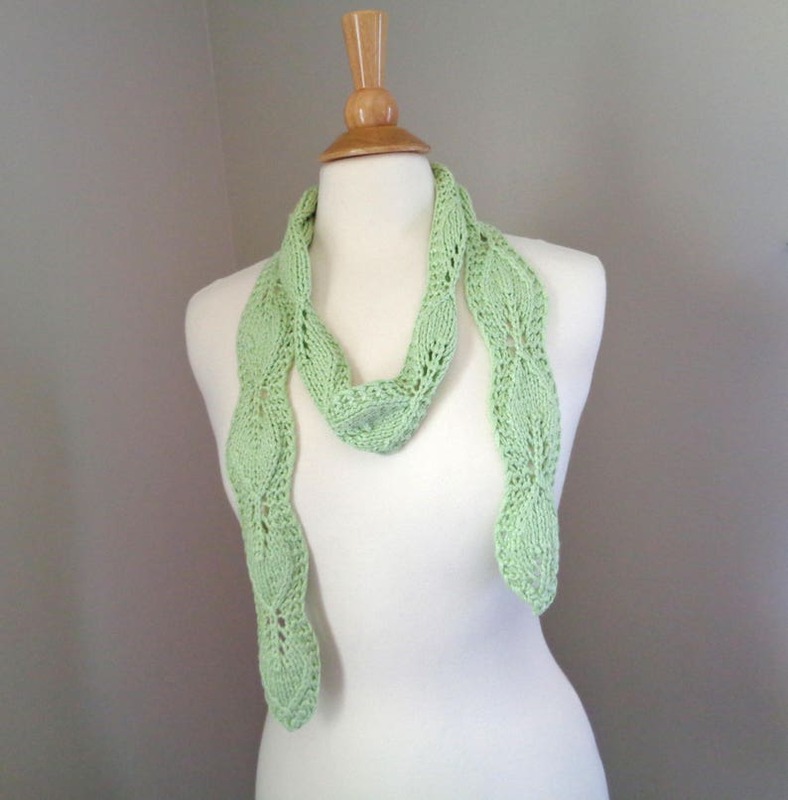 A fun accessory piece - add a bit of fresh, spring green to your denim jacket or colored top. Wear it with the leaves flat or allow them to "curl" a bit. Scarf has a lovely drape with a cotton/modal/linen blend.